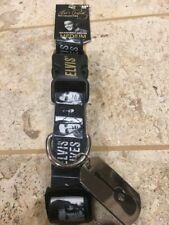 Elvis Presley Dog Leash 5 Feet 1 Inch NWT Black & White " Elvis Lives"
Pet Clothes Harness Vest Elvis Print Size: 5 Plus XXS Last One! 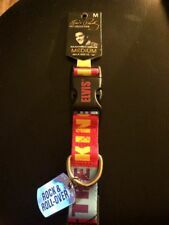 Elvis The King Lives Nylon Dog Leash 5 Feet A Must For Any Elvis Superfan! RARE! 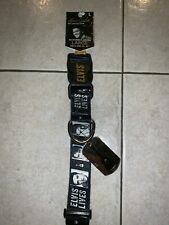 Elvis Presley Dog Leash 5 Feet 1 Inch NWT!! 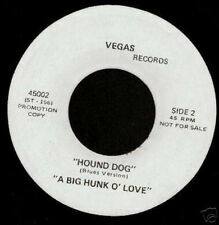 Hard To Find!! 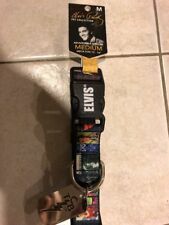 A Must For Elvis Fan! 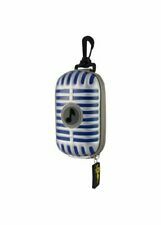 Elvis Presley Dog Chew Toy “Blue Suede Shoe Chew Toy Lic. Hard To Find Anywhere!